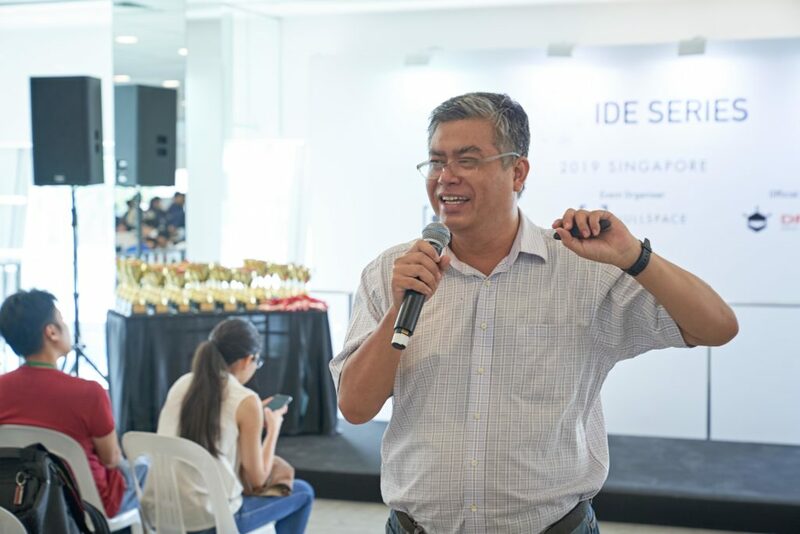 This year, as part of our Innovation Design Engineering (IDE) Championships Series, we were privileged to hear from Mr See Wenhan, Co-Founder of Hexagoon, and Mr Osman AB, a maker and hardware designer, who has extensive R&D experience, during the Maker Talk segment of IDE 2019 on 21 March 2019. Titled, “Make more stuff!”, Wenhan inspired students taking part in the Maker competitions with his life journey of how he picked up coding at the age of 12, and now, co-founded his own start-up focusing on game design. 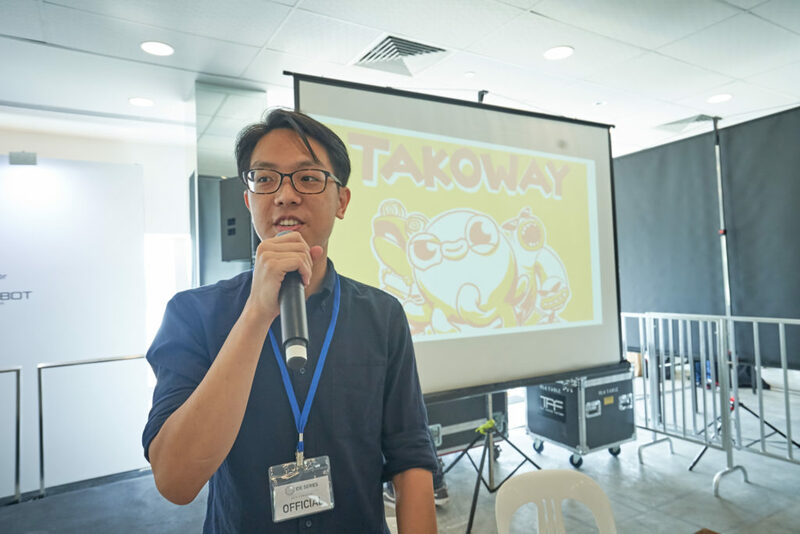 He shared how he merged his passion for coding and art together by starting with designing Flash animations meant for leisure and school assignments. Building portfolio is part and parcel of a Maker’s journey. Wenhan shared how he archived his work done over the early years and how they are useful in documenting his own growth. His interest and experience eventually led him to pursue a Computer Science degree from National University of Singapore. When asked on the life lessons drawn from being a maker through game design, he elaborated on how being a maker builds creativity and allows one to create original content. More importantly, it constantly provides challenges to overcome and allows one to innovate in the process. His advice to the students? Continue to make more stuff! The next speaker, Mr Osman, took us on a travel back in time as he shared with the audience on he has to rely on Electronic magazines as the only source of ideas back in the 1990s. Armed with an Electronic magazine, a solder, and small electronic components bought from a local hardware store, he began his Maker journey with simple electronic projects. Today, he can use plug-and-play hardware components (such as those from our official hardware sponsor, DFRobot), access materials online for reference codes, and discuss technical issues with the community through various forums. He presented how the current generation is fortunate to have an abundance of resources available, but it isn’t easy to navigate in this era of over-information. 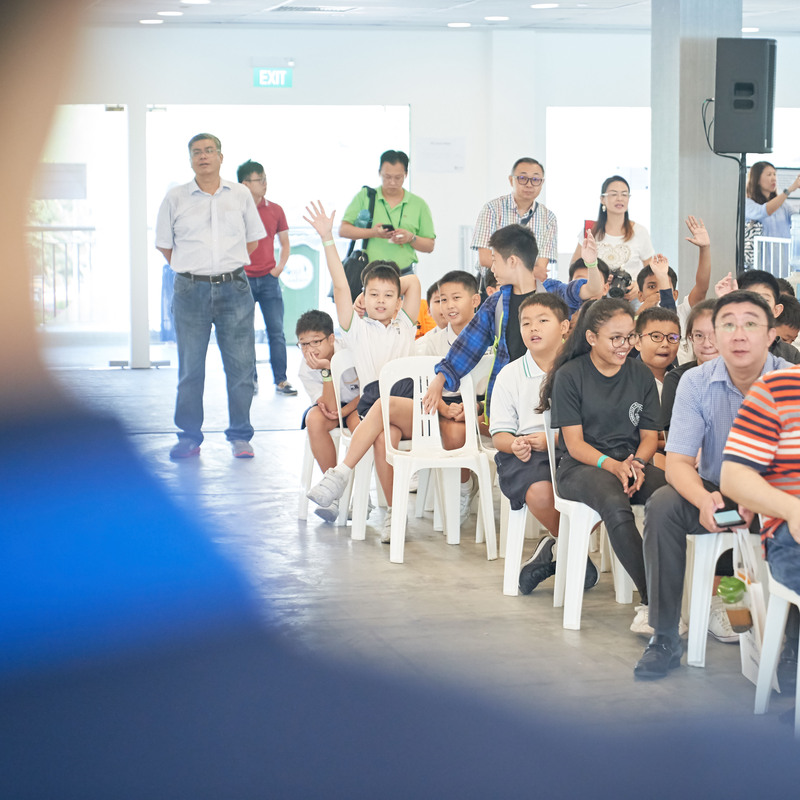 He urged students to seize the opportunity and be informed about emerging technology trends, such as artificial intelligence, augmented reality and virtual reality. “What are the emerging technologies in the world today?” Mr Osman engaged the audience before sharing his thoughts. The talks concluded with several take-home messages and words of encouragement for the student participants. We would like to take this opportunity to thank both speakers again for taking time off amidst their busy schedule to share their experiences and insights. We are heartened to be part of the Maker community, and be involved in our students’ Maker journey. Mr See Wenhan is a game developer and co-founder of Hexagoon, an independent game studio. Having graduated from NUS with a Bachelor’s degree in Computer Science last year, Wenhan has always been passionate about tech from a young age. He has a huge curiosity about all things creative and created his first Flash game when he was 12. Since then, he has participated in and won game design competitions, such as the Indie Award (Judges Choice) at Game Start 2018. Hexagoon is currently working on a mobile puzzle game, Takoway, which is set to be published this year. Mr Osman AB started being a maker since 1979 during his secondary school days. He began with hardware making simple project using transistors, 555 timer and 4017 with vero-board and did self-etch PCB when the board gets more complex. He later moved into microprocessor interface for memory extension for Z80 and tone generator. The first big project he did was enhancing an analog Function generator with digital control and display interface. This follow by designing and building in project group microprocessor(6502) board for sound generator. He has extensive experience in hardware research and development (R&D) as a hardware designer, used (and played with) many measuring/debug equipment for analogue, digital and RF, professional CAD, EMC setup, high end BGA laser soldering station and filed 1 patent. He fueled his maker desire by playing with Arduino on Intel, Bluno beetle and ESP 8266 on top of the old 8952. Also, to complement the hardware, he is using node.js and Apps Inventor.